Maybach Music act Wale has unveiled the second art cover for his fourth solo album The Album About Nothing (T.A.A.N). 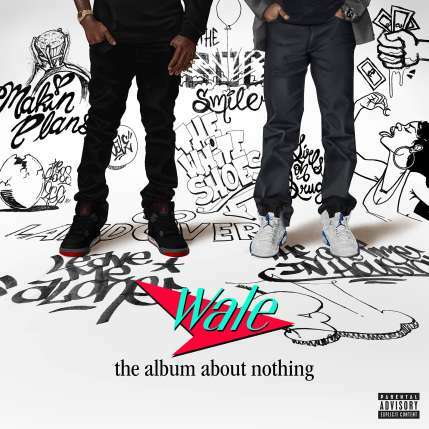 The second artwork which was revealed yesterday, March 9, 2015, features a shot of Wale’s legs and Jerry Seinfield’s with a black and white graffiti wall as backdrop. “This is the nostalgia cover. This one is really for everybody who supported me and helped me elevate my career to new heights when I dropped “mixtape about nothing” and years later “more about nothing” writing this album I felt the same feeling I felt makin those other projects…” said Wale about the album cover. T.A.A.N is scheduled to drop on March 31.